Johnian Yehia Amar has been awarded a prize for a presentation about his PhD research at a major manufacturing processes conference. Chemical Engineering graduate Yehia Amar has won first prize for a presentation about his PhD studies at the APACT (Advances in Process Analytics and Control Technology) Conference 2016, sponsored by Clairet Scientific Limited. This annual three-day conference brings together academics and industry experts in science and engineering to discuss and showcase technologies and cutting-edge research that makes manufacturing processes more safe, efficient, and cost-effective in industries such as the chemicals, pharmaceutical, materials, and food industries. 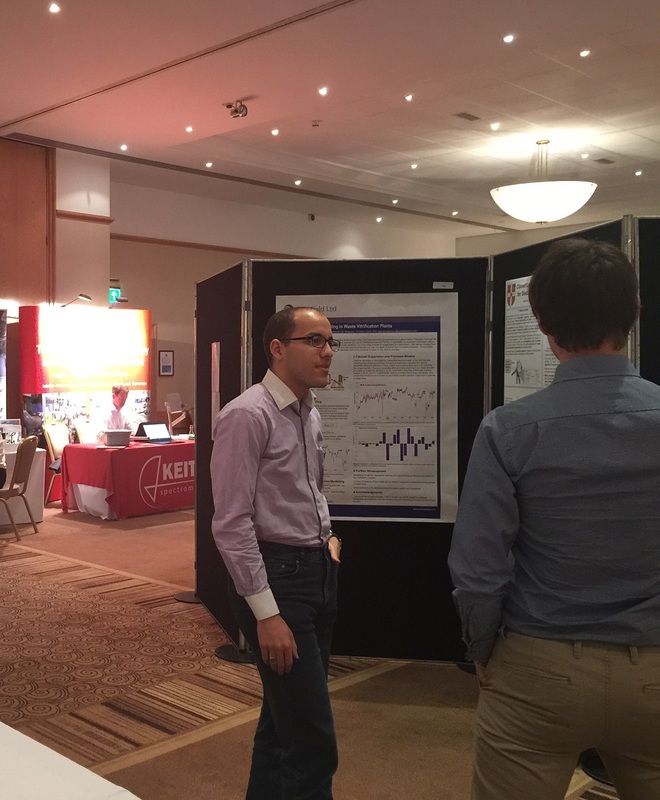 The conference involves seminars, plenary and keynote speeches, networking sessions, and poster presentations, from both academics and businesses. Yehia Amar is in the Sustainable Reaction Engineering research group, led by Professor Alexei Lapkin, and their research concentrates on the development of reaction engineering tools that are fit for new challenges in order to create a more sustainable society. His PhD project is about the design of chemical reactions to discover new catalysts and generate knowledge about complex chemical systems that we know little about. The prize was awarded for the best presentation of a one-sheet, poster-sized summary of the research and was judged by a panel of plenary and keynote speakers. Yehia’s prize-winning work is entitled Closed Loop Multi Target Optimisation for Discovery of Chemical Reactions, and focuses on a new way of designing a chemical reaction of pharmaceutical importance. In their lab, the research group combined an automated reactor system and a computer algorithm designed to use results from past experiments to predict ideal conditions for this chemical reaction. This framework allows researchers to save time and resources involved in extensive experimental work. These results are currently in preparation for publication. For more information on the Sustainable Reaction Engineering research group, visit their webpage. Read about Chemical Engineering at St John’s here.